Congratulations to the Trinity College seniors who graduated with a degree in Classics in May of 2018! Pictured above are the students who majored in Classics and are members of Eta Sigma Phi, an honorary society for undergraduates studying classical antiquity: (from left to right) Kelcie Finn, Claudia Garrote, Caroline Manns, Dylan Ingram, and Will Verdeur (not pictured: Lydia Herndon). 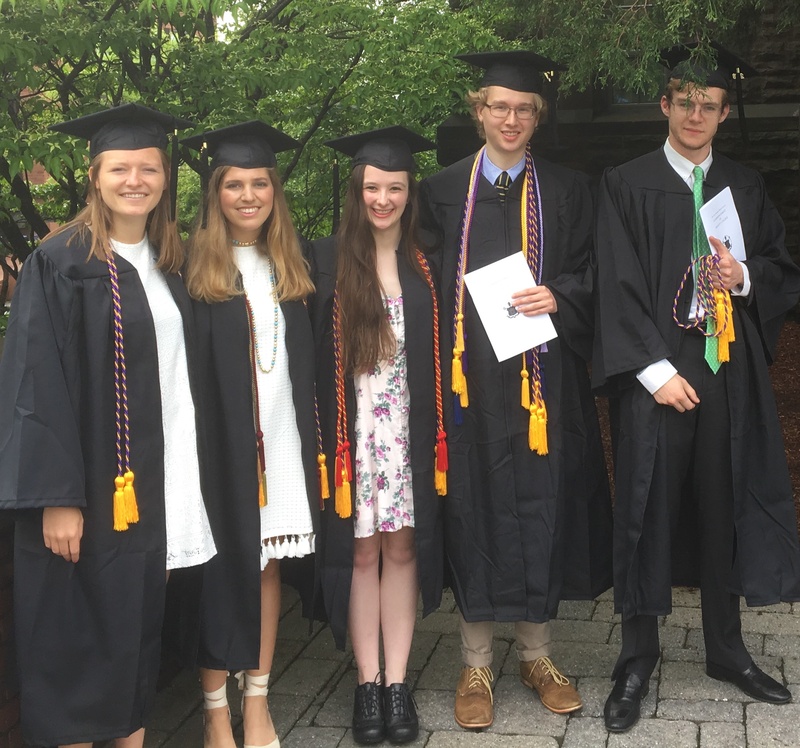 Graduating students who majored in Classical Studies were Sophie Akhoundi, Kaitlin Breen, Winston Brewer, Tristan McConnell, and Andy Rosenblatt. Graduating students who minored in Classical Antiquity were John Dolan IV, Michael Fries, Nicholas Fusco, Madison Hummer, Jane Linhares, Corinne Macaulay, Kira Mason, Tim Peng, Isabella Pizzi, Ashhab Quazi, Jack Roy, Elenore Saunders, Aaron Shneider, and Matthew Toth IV. Michelle Olsson and Tess Wissell minored in Classical Tradition. Ad astra per aspera, discipuli! We know you’ll do great things, and we’ll be tickled pink to hear from you in the future. This entry was posted in Uncategorized on July 10, 2018 by vtomasso.